Dang! Photography just doesn't do that copper embossing justice! 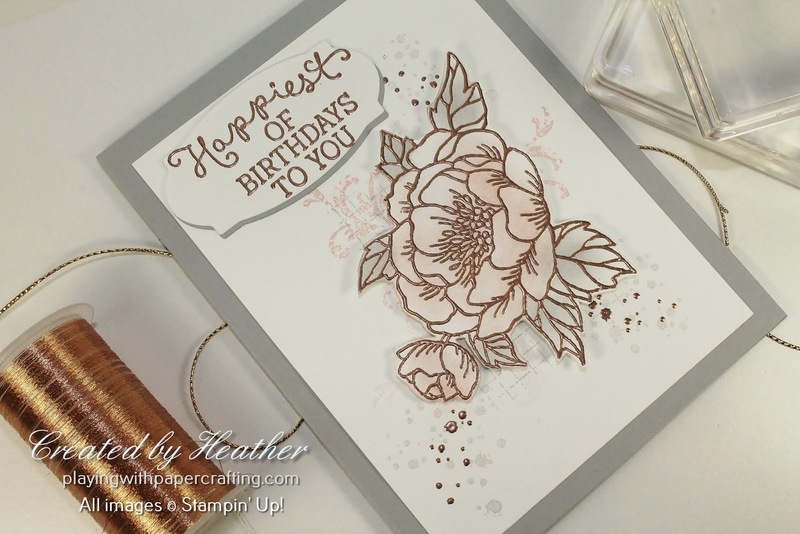 The beautiful Birthday Bloom itself is embossed using Copper Stampin' Emboss Powder as is the sentiment from the same stamp set and the splatters from Timeless Textures. The flower itself was sponged with some Blushing Bride Ink - just a hint, and the leaves with Smoky Slate. I fussy cut the bloom and removed some of the extra foliage and buds to simplify the image. 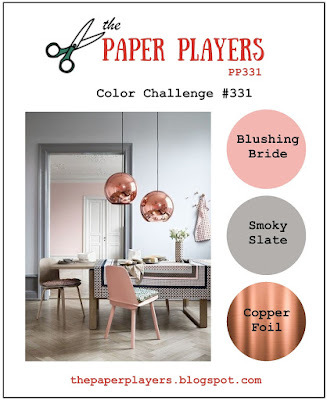 I created a little "texture nest" for the blossom with designs from Timeless Textures in Smoky Slate and Blushing Bride plus some splatter from Awesomely Artistic in Smoky Slate as well. 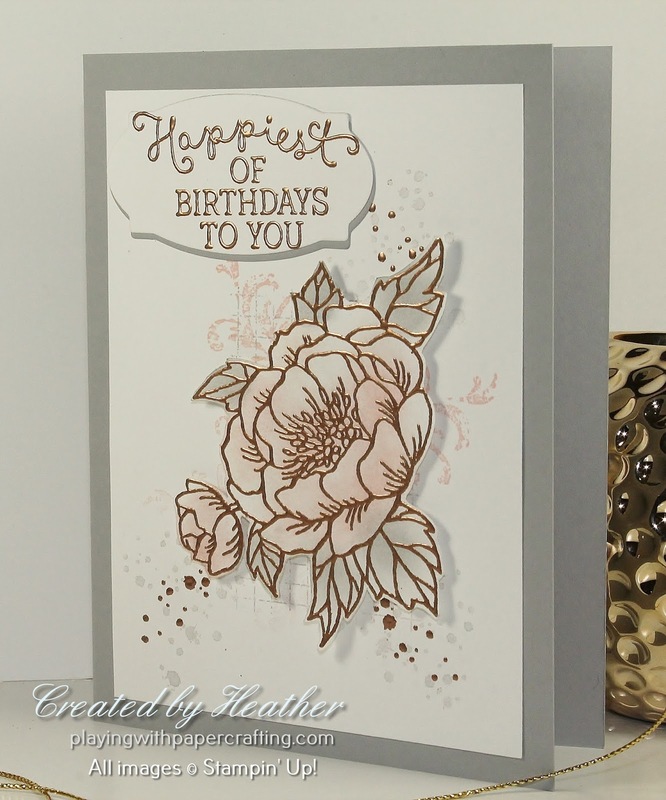 I kept the layering simple to focus on the Birthday Bloom and keep the card clean. The sentiment was die cut with the banner from Rose Garden Thinlits and another was cut in Smoky Slate and layered just underneath, looking like a shadow here. • Ongoing 20% discount on all of your orders, which becomes 25% once you achieve your first promotion to the Bronze Elite title. • Earn additional income of up to another 33% of your sales based on volume. The kit is a sweet deal - choose $165 of product for only $135 –NO shipping! *And until Mar. 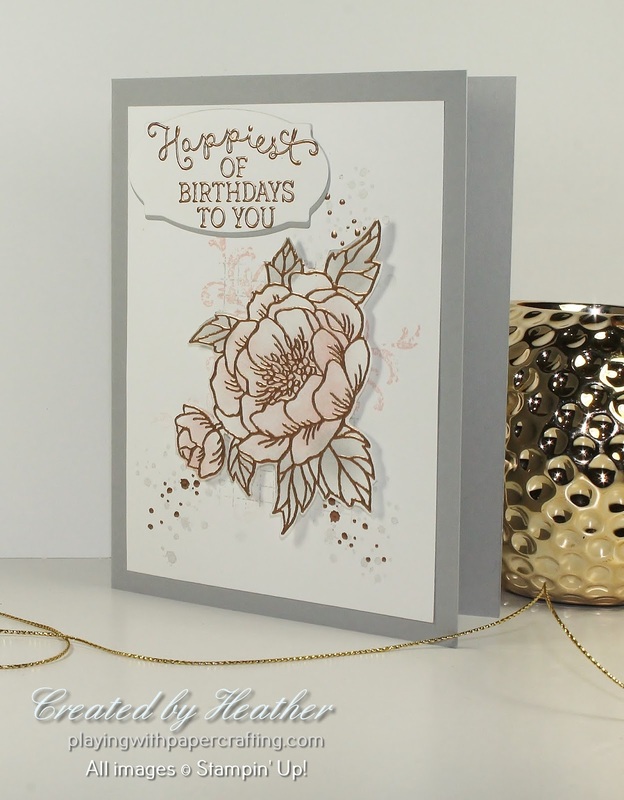 31, 2017, as part of Sale-A-Bration, you can choose 2 free stamp sets for free with your starter kit! That's potentially another $136 in free product, depending on the stamps you choose!